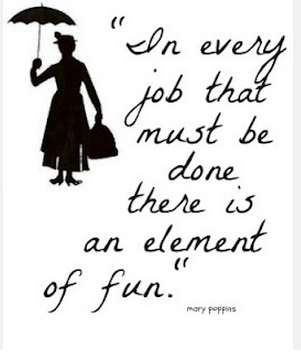 At the heart of learning for children you can often find play. Learning to communicate is no exception, and there are toys and techniques that can be used to help build language and speaking skills in children. The toy box can be transformed into a learning toolbox with a few simple additions that target the difference types of learning styles best suited for your child – auditory, tactile, and more. If you’re trying to build communication skills in your child or student, try any of these 8 toys and techniques to develop language, speech, and the foundations for healthy communication. Repetition does not have to equal boredom when it comes to toys. Kids are sometimes drawn to toys that are predictable, especially when they can be the ones in charge of the action. Jack-in-the-boxes and other types of wind-up toys teach children about cause and effect and can be beneficial for kids who are drawn to routine. Engage with your child and ask, “What will happen next?” with anticipation in your voice as he winds the arm on the box. Your use of voice inflection will enhance the experience even more. 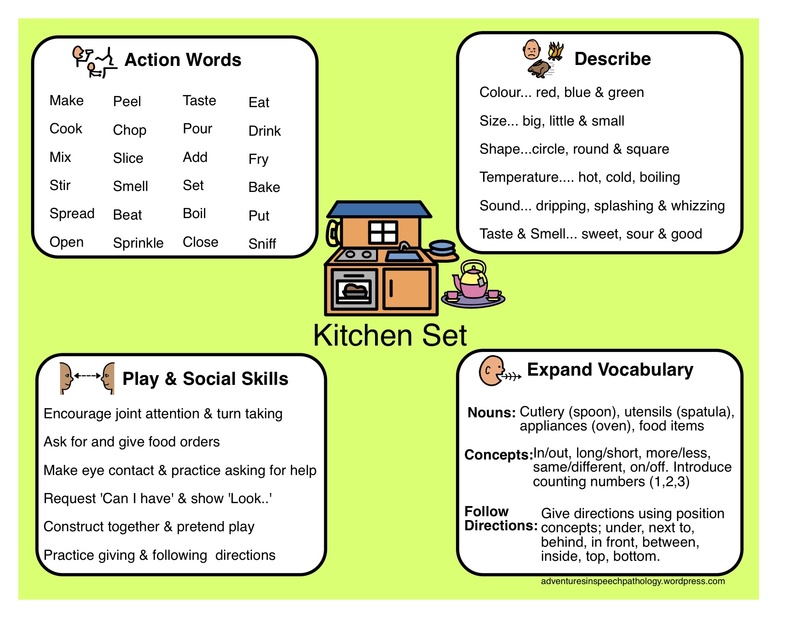 Toy kitchen and cooking sets offer familiarity to kids and you can jump in and play with them as you ask them to serve you tea, encourage them to stir the soup, and create their own concoctions. Not only are bubbles fun to blow and pop, but blowing bubbles is an inexpensive way to incorporate many different speech and language therapy techniques. You can use them for everything from blowing bubbles to practice forming the lips in an “O” to demonstrating turn taking when popping the bubbles. Playing with microphones and voice amplifiers has many benefits for kids who are building communication skills. 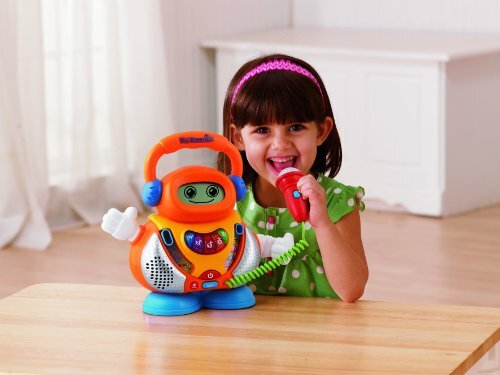 They can experiment with volume control and when you pair the microphone with a recorder you can play back the sounds so your child can practice listening and hear what he or she sounds like when recorded. There is something magical about tiny beams of lights for kids, and you can turn this household item into a vocabulary building game, where your child has to point the beam of light at the object you name. Nesting dolls, cups, and hidden object games can all build communication skills. They give you and your child the opportunity to ask questions (Where is it? ), follow clues and directions, and have fun exploring the answers. You can even make your own game by taking a simple object and hiding it in the room and asking your child to search for that specific item. Imitation play, where kids use dolls to reenact scenes from everyday life, is a strong communication builder. 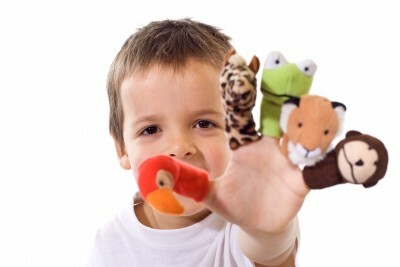 Kids can give dolls and puppets voices and personalities, two strong components of communication. Non-verbal children can manipulate the body parts to communicate meaning. The classic Mr. Potato Head toy is another option, and it can be used in several communication strategies, such as practicing prepositional phrases (Put the hat on his head). Sometimes children prefer to use the senses of touch and sight during messy play – using sensory exploration to build communication skills. Make your own homemade goo with an easy recipe or let your kids roll out some simple flour dough clay. When their hands are busy exploring sometimes kids’ ears are more receptive to listening. There is a wide array of other engaging and stimulating toys on the market that can help improve communication skills. Try the toys before you buy so you know what kinds of skills your child will need to actually use the toy, look for toys that can be used in more than one way, and consider the special needs of certain age groups. No matter which toys or techniques you choose to use with your kids, make sure that you are engaged in some of the playtime as well. If you are concerned about investing in toys, there are ways you can avoid having to budget for too much money on toys. Check with your insurance company to see what they might cover as part of speech therapy, look at thrift stores and garage sales, or just open your closets at home. Many of these ideas can be used with items you already have around the house, and you can always improvise with the good old standby cardboard box, turning it into a kitchen, puppet theatre, and more.